I am so obsessed with everything over-sized recently. 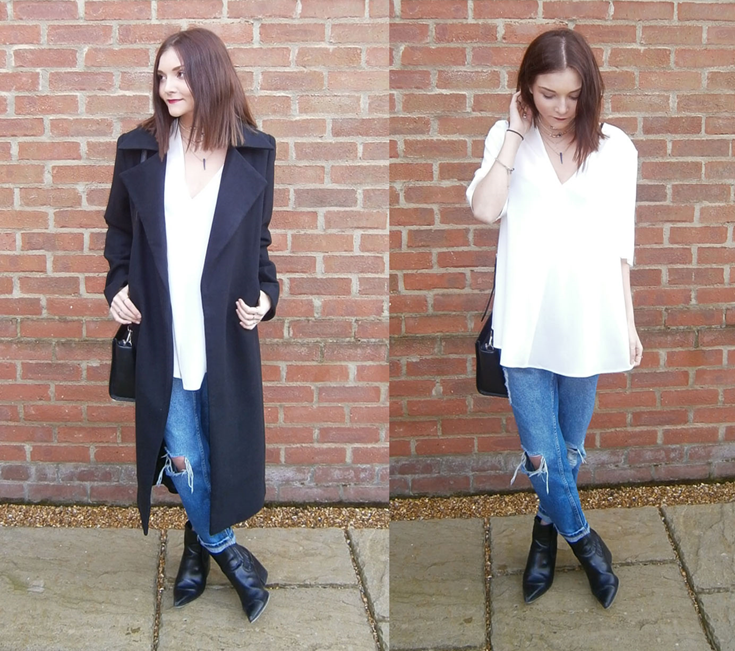 In the summer my obsession with long outerwear began, I bought this duster jacket from Monki, this cardigan and this longline white blazer (the latter two were bargains from Primark). It has now extended to a love of over-sized shirts - I have recently purchased a striped shirt and a khaki shirt, both of which were 3-6 sizes too big for me, admittedly I returned the size 18, realizing it was perhaps a step too far for my 5'2" petite frame. Interestingly, my instagram photo of my khaki shirt got more likes than most of my other photos, bearing in mind that it was only a silly mirror photo of not too fantastic quality (view here if you're confused) I could only deduce that it must be down to the fact that others are equally taken up by the oversized shirt at present, specifically in SS15's coolest colour: Khaki. Well, either this or I over-did the hashtags, which is also probable - I even felt the need to include #unecessaryhashtags. 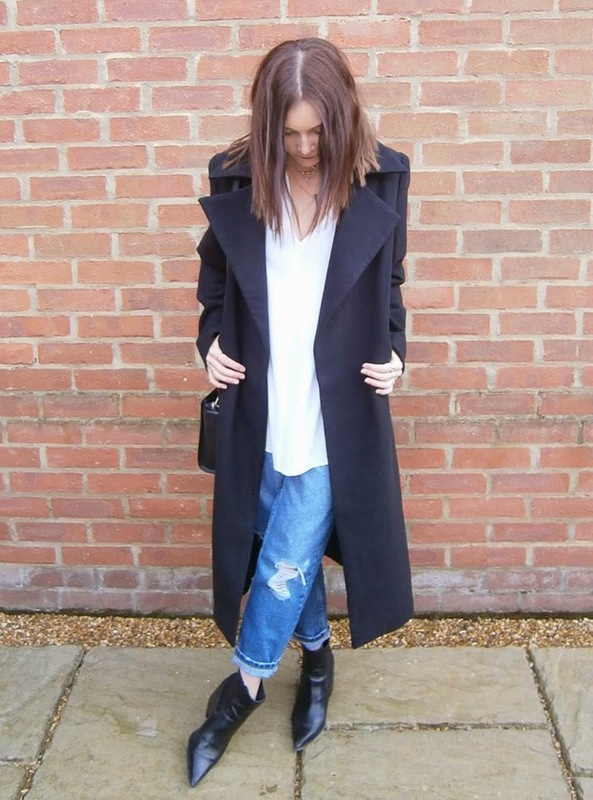 When I first purchased this Missguided duster coat, I was slightly overwhelmed by the large size and mannish shoulders, but since I had wanted one for ages (after trying on a similar long black coat in Zara), I gave it a few days to grow on me. Now, after styling it with a few different outfits, I am in love. 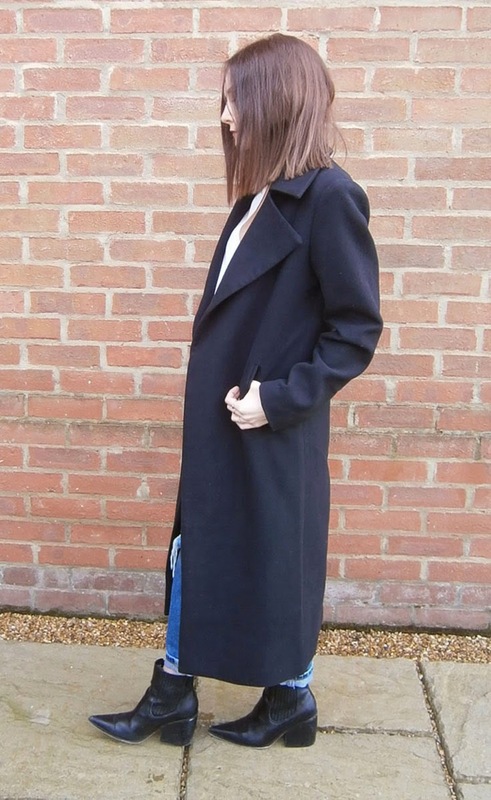 It adds the perfect chic, modern finish to a casual outfit - and it is the closest thing to a dressing gown that it is acceptable to wear outdoors.